I'm excited to share with you two projects completed. (Yes! The needles are clicking away). 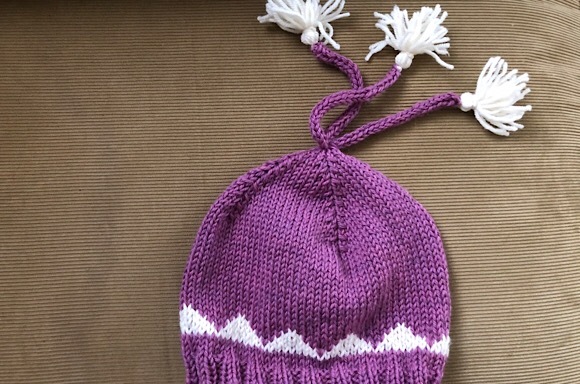 First off is the Coronet Hat that I quickly whipped up for the toddler because the wintry weather came sooner than later. I got creative with the icords and the tassels because I thought it would add some uniqueness to the hat. I want a hat for myself with tassels as well. I know I'm late to be knitting Ginny's Sunday Sweater but better late than never, right? I finally had a little girl to knit for. This is the toddler's Christmas dress. I loved the top down design and the button bands already incorporated into the knitting. A lovely pattern that was a quick knit (compared to an adult sweater). What are you knitting or crafting this week? The little i-cord tassels are PERFECT. She is going to look so cute in that sweater. For me it's cross stitch this week. Gotta get a project done!!! Darling knits. 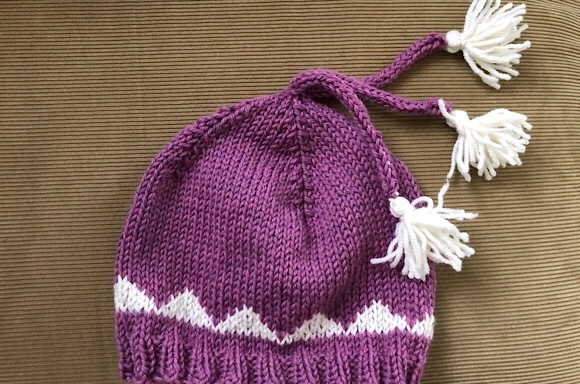 I love the buttons on the sweater and the hat with tassels. I am knitting away on the Christmas stocking. Tassels for the win!! 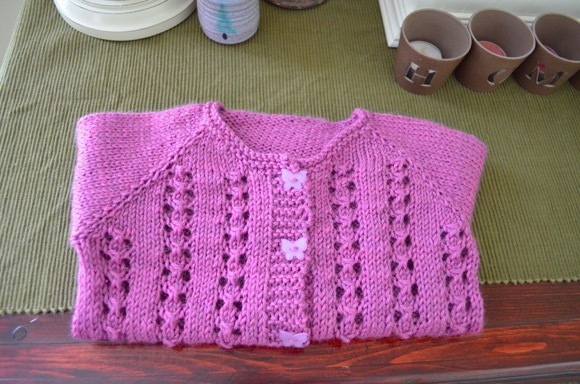 Knits for little ones are fun and quick ... and when you get to use pink/purple and lace ... well - LOVE!! She is a very lucky little girl to have you as a babysitter and personal knitter! Oh my! Lovely, Karen! She is indeed one lucky girl! That hat is adorable too... those tassels! I love the tassels on that cute hat! She is a lucky little on to have you knt for her! Oh my gosh! I love the hat's tassels! And the sweater buttons are perfect! What a cute hat!!! She will love it. And the sweater is adorable. Great job on both. Those tassels and I-cords are a perfect finish for that hat, and the sweater is absolutely adorable. Hope you get a photo of her wearing both! Nice work! Love the Sunday Sweater. Wouldn't mind one for myself if it was possible. LOVE the hat. Those i-cords and tassels are too fun. How clever you are. Love that adorable hat, the tassels added are a delight. We thank you for your continued prayers for Gerard, you have been a real comfort to us both these past months and feel blessed to call you a friend.